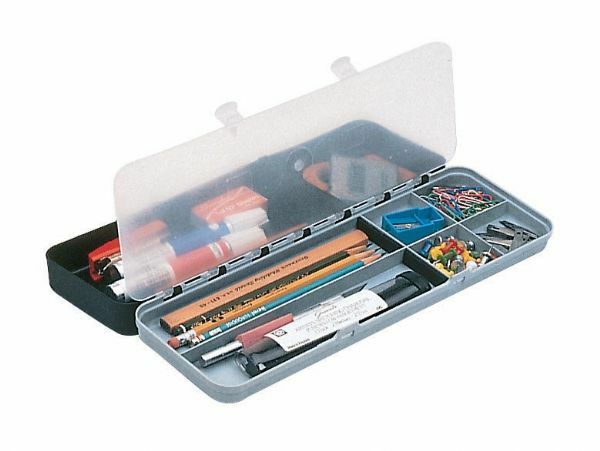 Two-sided accessory box safely stores pencils pens charcoals erasers and ink brushes. * Pencil wells feature foam pads to protect pencil and blade tips. * Contents stay in place with transparent divider. * Overall size: 12 3/8"l x 4¼"w x 1¾"h.
12" x 4" x 1.5"